Busselton & South West Rent-A-Car is a locally owned Automatoive and Leisure rental business. We pride ourselves by providing a range of immaculately clean, New to Used vehicles. 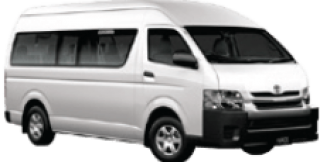 Booked either on our website (busseltonswrentacar.com.au) or by phone +61 8 97521691 / +61 4 37791691. FREE Delivery throughtout Busselton and servicing the entire South West, 7 days a week from 6am - 6pm, making us the most convenient car hire yet, including after hours pick up and drop off. Busselton & South West Rent-A-Car strives on customer satisfaction and making it easy, with our possitive approach, not to mention we will beat any price by 10%. * Free local delivery & pick up + servicing the South West. * Open 7 days from 6am - 6pm. * Debit and Credit cards accepted. * Drivers 21 and over. * Hatchbacks, Sedans, 4WD's, Campers, Budget & Minibuses, 4WD Toyota Prado & Toyota Hilux campers. * 24 Hour online booking & Emergency service. * Boats from 6hp (No skippers ticket), 15hp 4 man, 70hp 6 man & 90hp 8 man. Tackle, rods & reels, Block ice, esky (ice box) all available on request. We really appreciate your support with our business and look forward to meeting you.